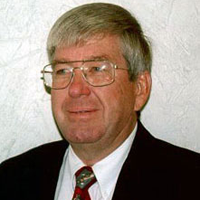 Steven J. Kreigh has been associated with Ideal since 1972. As a certified Residential Broker (CRB) he heads the marketing for Ideal Realtors. He has received the Certified Commercial Investment Member (CCIM) designation from the National Association of Realtors, and specializes in Commercial and Investment Real Estate Sales. Steve is also a Certified General Appraiser and the owner of Steven J. Kreigh Enterprises, an appraisal business.